Gym, piano, soccer, swimming, art, violin, ballet classes…and not forgetting tuition for different subjects. Our kids live in a fast-paced world that bring along with it increasing levels of stress. What causes overscheduling? Are we living vicariously through our kids? Giving them opportunities that we never had? Or is it a fear of them missing out? Well there is the obvious need to simply keep up with schoolwork, with its ever-increasing difficulty levels in math, science and even the languages. Then there’s DSA, which encourages us to identify our child’s talents and gifts at an early age, and nurture these talents. The heart of the programme is a good one, as it aims to recognize students with diverse talents and from diverse backgrounds, but inadvertently the ones with the most resources stand to benefit. To be honest, I’m glad that we’ve shifted the focus away from pure academic achievement, but here is the irony. The move to a “more holistic” approach brings with it its own set of pressures on our young. Today, not only must they ace exams, they also need to excel in sports, music or the like. Take the rushing around and packed schedules, coupled with daily pressures of school, homework and spelling lists, and you end up with children who are running faster than hamsters in a wheel. They’re probably feeling the stress from having to excel in many different areas, but are unsure of where they are really going. So how do we help them thrive in such a fast-paced world? Here are 6 simple ways. When our kids are at school or at enrichment /tuition classes…It is through reflection that they are able to embed those new neural connections in their brains and memory. Don’t simply rush the kids from one activity to the next – encourage them to share with you what they’ve learnt for the day. The rationale is, rather than exposing them to all sorts of skills that they only manage to skim the surface off, focusing on one or two new things allow them the time to experiment, go deeper, and likely, go further too. When our children are young, obviously we should first encourage them to enjoy the instrument/sport. If they have no interest in it, there’s no point forcing them to dive into it. Most of us just want our kids to enjoy a sport or an interest, but if they cultivate a passion for the sport/music, and seem to want it for themselves, it might be worth taking it further. 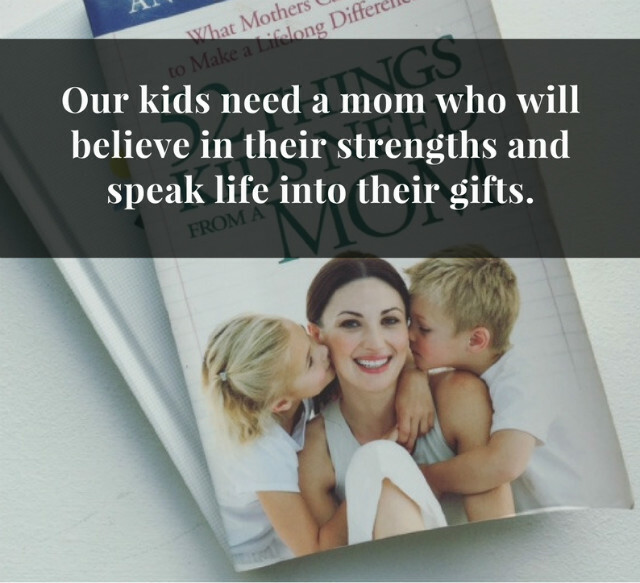 Our kids need me-time too. Outdoor play-time is great, but free play at home works too. This Harvard Business Review article states that “generating good ideas and quality work products requires something all too rare in modern life: quiet.” This is true for adults, but it is equally true, or perhaps even more so, for a child. According to the writers, silence helps restore the nervous system, sustains energy, and conditions our minds to be more adaptive and responsive to the complex environments we live in today. “Silence is associated with the development of new cells in the hippocampus, the key brain region associated with learning and memory,” according to research by Duke Medical School. One of the things I love about silence as a daily habit is that it helps me tune in to myself, and it also helps me tune in to what God is doing in my life. Carve out moments of play/quiet into their daily routine. Write in down on the schedule. Start small and keep it truly free. Also make sure they get sufficient rest. If they’re constantly falling asleep at school, consider what needs to be changed. If your kids want to use the internet to do research on their favourite animal or scientific experiment, support them in their latest interest. You’ll be surprised at how motivated they can be on their own. When we are the ones who push our children to take on-board pursuits like DSA or play a musical instrument, the climb is always uphill, because it didn’t arise from them in the first place. But if they make the first move, they will always be driven – motivation works best when it comes from the inside. This makes good practice for later in life too, when they will need to be able to find out what it is they truly want to do. No one else but them can provide the answer. My daughter has been struggling with her Chinese. We speak the language only occasionally at home, and so to be honest, we lower expectations for her in this subject, but we still expect her to put in her best effort. To support her, we’ve been reading books together, practising writing and recognition of common words, and playing memory games. But I realise what she needs most is this: encouragement. Given the rate of youth suicide is increasing all around the world, I think this is a lesson worth reinforcing at home: though we may struggle, we can press on together as a family; we’re never alone. Knowing that my girl is not going to score an A anytime soon in Chinese should provide a sensible guide for me as to what to expect. As much as we love to see straight-As, it’s important to know that not every child is an A student. To me, it’s good enough that she is aware of her current weaknesses, and is taking steps to improve. She’s set a goal for herself to learn five new Chinese words a week. I see the amount of effort she puts into her spelling each week, and I already feel…well, thankful. Giving our kids down-time, chances to reflect, support to attain their goals, are all ways to ensure they are happy and healthy, while also motivated in times of learning. 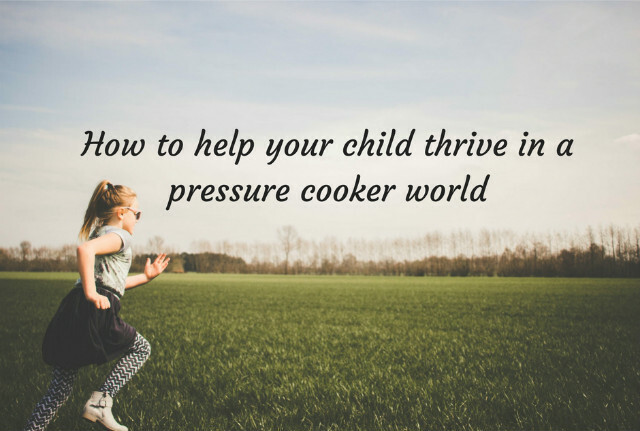 What other things can we do to help them thrive in this pressure-cooker world? If you found this post helpful, do share it with your friends.